WDI Announces New Infra-Red Laser Scanning Confocal Microscope | WDI Wise Device Inc. In semiconductor manufacturing subsurface defects, such as microcracks and microvoids, as well as defects associated with manufacturing often go undetected. Heavy doping during the manufacturing process can make nondestructive review and inspection of wafer and chip packages very difficult. 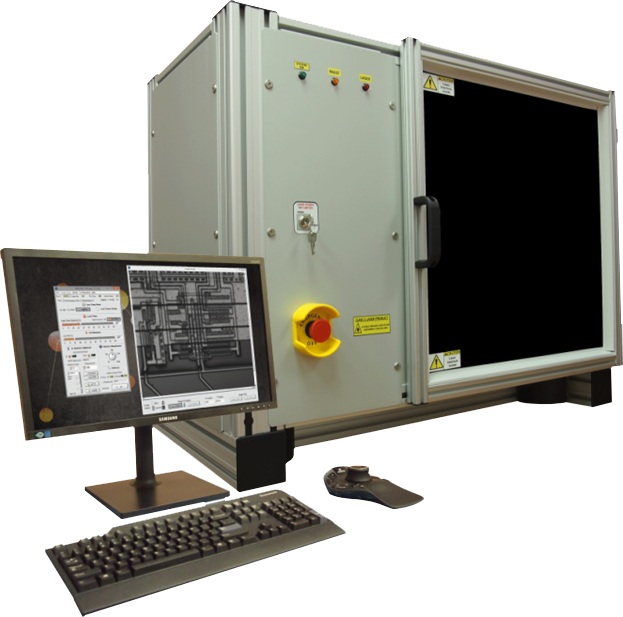 The IRLC utilizes a near-IR laser, IR optics and confocal laser scanning technology for non-destructive subsurface interior investigation of silicon wafers, IC chips, MEMS, Solar Panels, and other devices. The IRLC includes a full automation package containing precision motorization of the XY stage, objective, illumination, laser power, attenuation and Z position. The system IRLC includes a colour CMOS camera and LED illumination for bright field imaging allowing operators to quickly locate areas of interest as well as optional recipe automation software. If you have any additional questions or require additional information please contact WDI.